Check Out the AWESOME Deal Below & Save Over 70%!%! Introducing Your Upgrade Offer For the Content Creation Collection Bundle! With this much content, you'll be able to load the pre-written blog posts/articles in Wordpress and save time to work on other aspects of your business. You'll also get not one, but TWO reports and a challenge with this customizable pack. These can earn you money if you set them up as a product for your community. The best part of this pack is that you'll be able to focus on what's important to you in your business - like marketing your blog, engaging with your audience or creating signature products. When you're not worrying about creating content all the time these are activities that you'll be able to do easily. Get This Bundle Today for Only $17, Normally $97.70! Yes! Add This To My Order For Just $17! 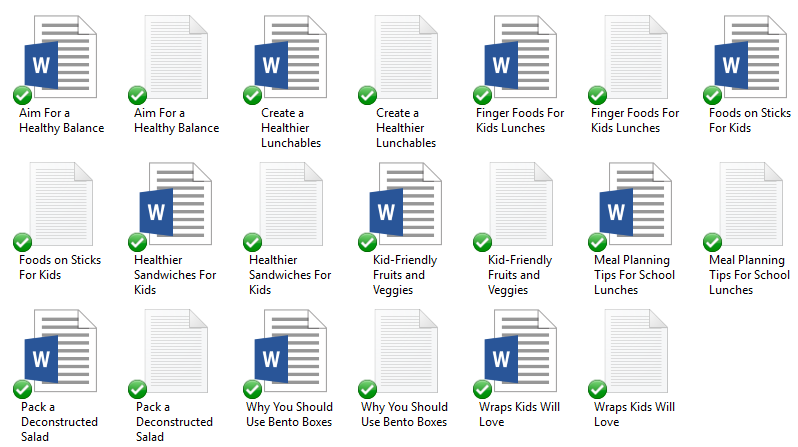 This part of the bundle is designed to help your audience cook healthy meals for their families. Nowadays we are all busy and this seems to be especially true for women. 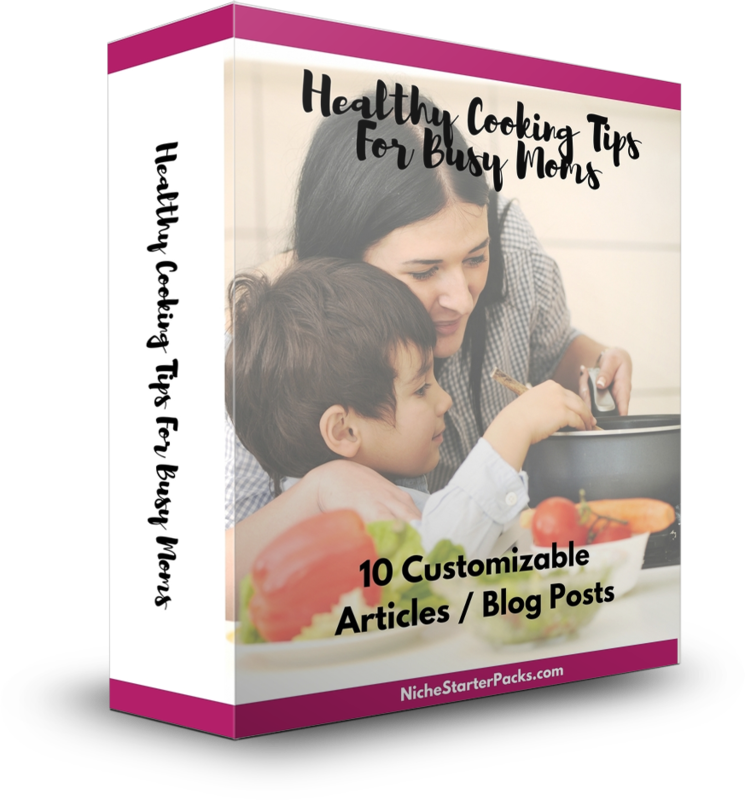 You add all the things that they've got to do and they need help getting a balanced and healthy meal on the table quickly. You'll get 10 informative and well﻿﻿﻿﻿-written﻿﻿﻿﻿ articles. With this content, you'll be able to use it in several ways. You can put it on your blog and schedule it out in a series or combine it to create an opt-in. As bloggers you get busy and then there never seems to be enough time to do everything - with this content the articles are written, so you'll be able to use as is or change a few words to match your voice. All content in .TXT and .DOC format. 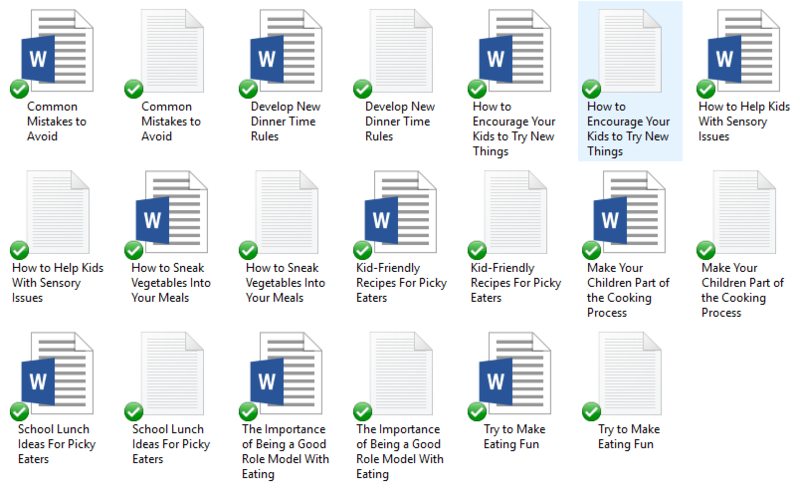 This part of the bundle is designed to help your audience feed their picky eaters. 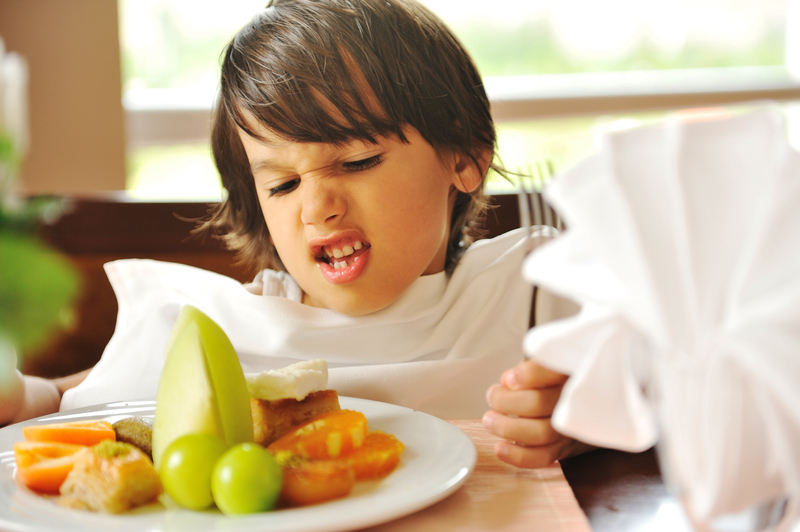 When you're child doesn't eat their meals and you're not sure what to do - you can get stressed. You'll also get 40 Social Media Blurbs to help you market your blog posts. Load them up in your favorite social media scheduling software. Social Media Blurbs come in .TXT format. When you audience is sending food to school with their child - they usually want it to be healthy. 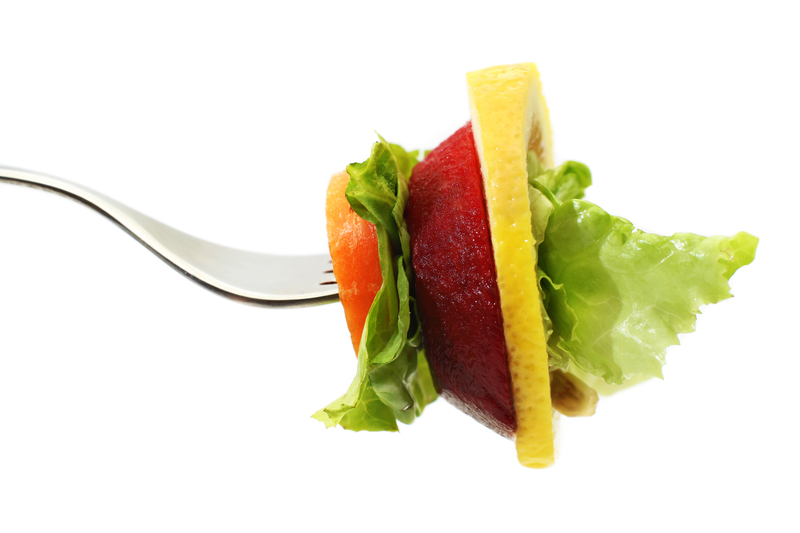 There are so many fast food and junk food options that a good balanced lunch is essential. With this pack you'll be able to teach your community how to provide healthier options for their children during the day. 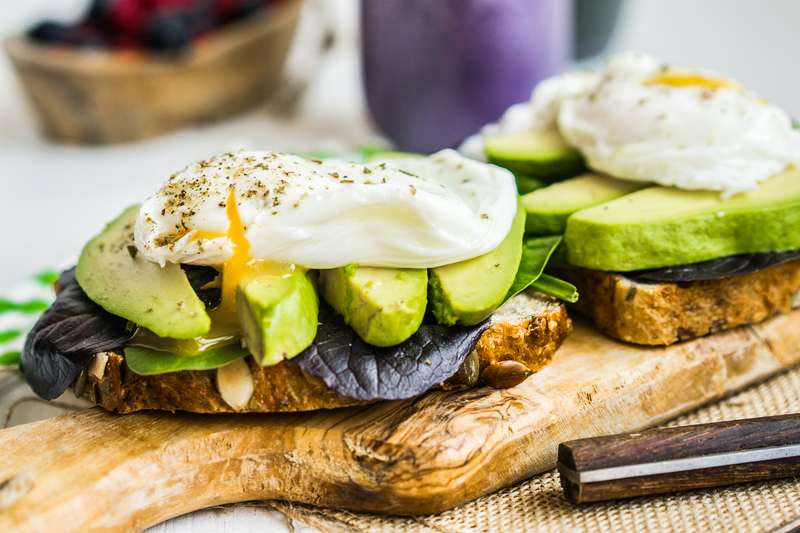 Getting a balanced meal is extremely hard because most people don't know what that even looks like! Unfortunately, the children of today don't know what healthy looks like because they usually get something fast and quick at home. Their parents just don't have enough time to cook from scratch. They have probably have forgotten most of what they've learned because they are so busy. With this pack you'll be able to teach your community about proper nutrition. You'll get a 13-page report, that you can turn into a opt-in. You might be surprised, but walking is a great form of exercise. When you haven't been exercising and you want to start - walking is a great way to start. You don't need any special equipment - except walking shoes - when you first start out. Plus this is an easy activity that you can do as a family. 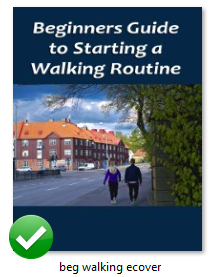 With this pack you'll be able to teach your community about starting a walking routine easily. You'll get a 15-page report, that you can turn into a opt-in. There are a lot of people going to a Paleo diet. When someone switches from a diet they have been eating for something they are not used to - they get overwhelmed and frustrated. They need help. 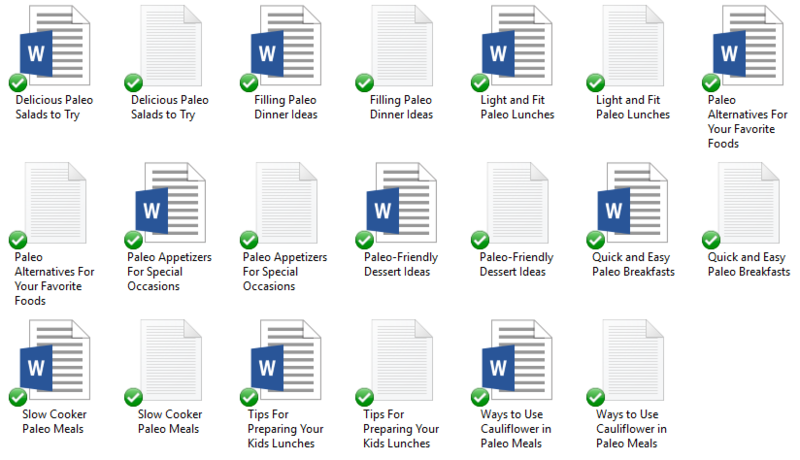 With this pack you'll be able to teach your communityhow to easily start the Paleo lifestyle diet. 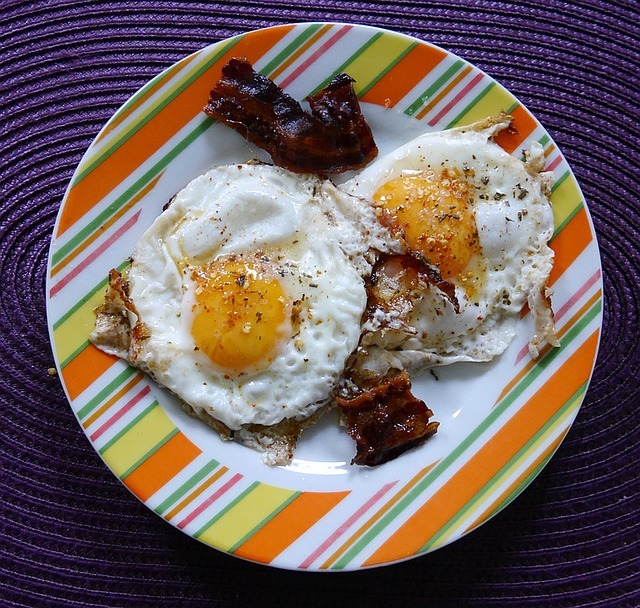 You'll get a 10 informative Paleo articles, 5 Paleo Recipes & 7 Royalty Free Images. 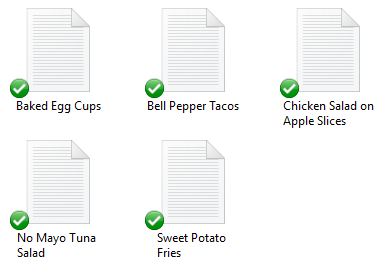 All recipes in .TXT format. But most people don't drink enough. Use this content to create a challenge for your audience. 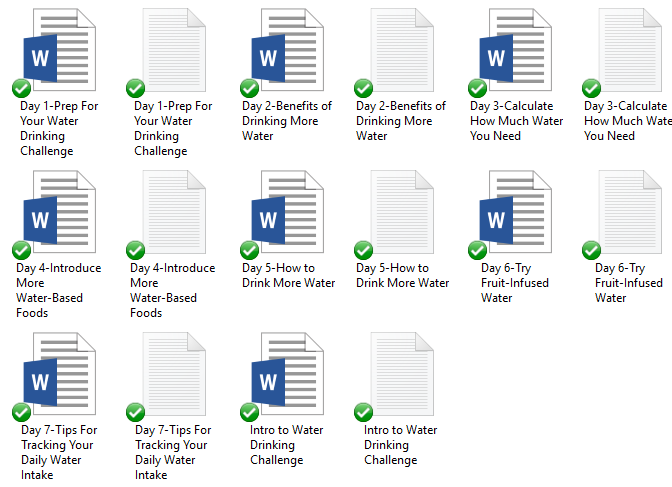 You'll get an intro to the water drinking challenge, plus a 7 day email sequence, as well as 2 printable PDFs to keep your audience on track. 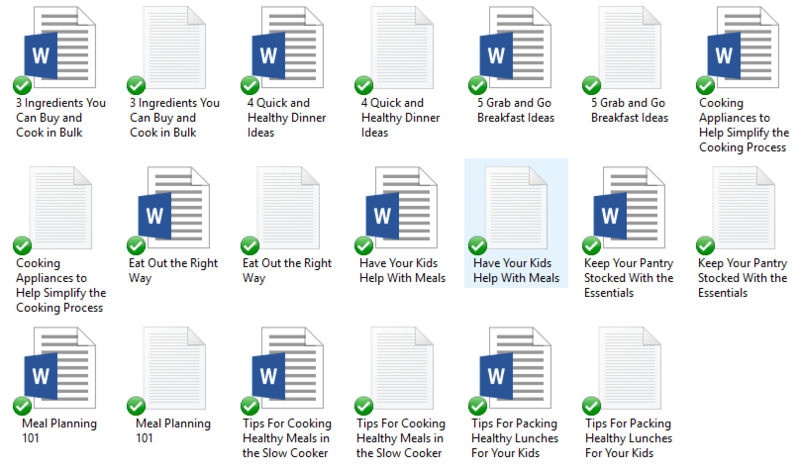 All recipes in .DOC & .PDF format. This 7-page report goes over how gardening can help with depression. You will get a 7-page report that is a total of 2,472 words and 5 sections. It covers how gardening helps with depression and some tips on starting with gardening.